Is there a vegan form of D3 sold anywhere? trying to find some for my sister, her and her son are vegan and wont take it because it comes from sheep. I've covered this on the Vegan Vitamin D page that I wrote!! Unfortunately, by definition, you cannot have 'Vegan Vitamin D3'. Vitamin D3 ONLY comes from animals and Vitamin D2 ONLY comes from plants. I weigh the pros and cons. And by the way, it doesn't come from killing sheep, it comes from their wool. So if they are OK with wearing wool clothes, then they should be OK with some D3's that make it from wool (not all do). I've been taking Mega Foods d3, for about 6 months now. It is made from organic whole foods, such as brocolli, etc. I take 5000 units per day, and am about to increase it to 6000. Your post intrigued me and I had to go look up your vitamins to see what was up with that. So, while your VITAMINS are made from broccoli and such, vitamin d is NOT synthesized from broccoli or any other vegetables. In this case, Megafoods claims that their Vitamin D3 is made from a yeast called S. cerevisiae. But I've never heard of Vitamin D3 being made from yeast and I'm suspicious, so I started to dig further to see if I could find out whether this was true or not. And I DID find a study from 1976 called The induced biosynthesis of 7-dehydrocholesterols in yeast: potential sources of new provitamin D3 analogs. "Ergocalciferol is not vitamin D but it is similar. It is made by irradiating ergosterol, which is found in many living things, such as yeast." Hmmm. So, irradiating yeast (S. cerevisiae) is EXACTLY how they make Vitamin D2. So, I'm still suspicious, so I wrote both MegaFoods and Dr. Cannell to see what they say about this and if it is really vitamin D3. Is there REALLY a vegan Vitamin D3 that I can recommend? So far, I'm still sceptical, it sounds a LOT like vitamin D2, but I'll keep you updated on the responses that I get- if I get any. Until then, the ONLY actual vegan vitamin d3 that is being made is The Food Movement's First of it's kind Vegan D3 From Lichen. It's truly vegan and truly vitamin D3. It's the only one that I am aware of. Thanks for getting back to me. But I'm still a bit stumped. 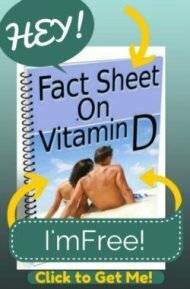 I'm not trying to steal your information on how to make vitamin d or anything, but I'm just concerned because irradiating yeast is how vitamin d2 is made and the study that I found from 1976 says that the process that THEY used made a 'prohormone Vitamin D3' which is NOT vitamin d3. So, from YOUR response, it sounds like you TAKE vitamin d3 and 'feed' it to yeast to make Vitamin D3 ?! So, that is strange. 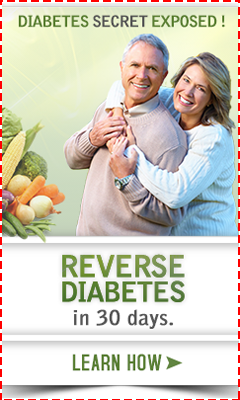 Are you just doing this in order to make it more bioavailable? And am I understanding you correctly that the original substance used to 'feed' the yeast is vitamin D3 from fish or irradiated wool- same as any other D3? "Cold Fusion FoodState Vitamin D-3 is an effective, bioavailable form of this important nutrient." If you don't have biovailability studies, how do you know that it's effective and bioavailable? I hope that you can answer these questions or refer me to someone who can. Our D3 is originally sourced from lanolin. The process of how we biotransform this lanolin into the lipid matrix of the S. Cerevisaie is the same process that nature uses when growing fruit (or anything for that matter). In nature a plant will pull an isolate from the soil, i.e. ascorbic acid, as it absorbs it through the root system that nutrient is biotransformed by the plant by nature's intelligence to become part of the vitamin C combination that is in an orange. This same process is used with the Vitamin D3. The pure non-patheogenic yeast from a single strain of mother chip is combined with the D3 sourced from lanolin and a nutritional broth. The process mimics nature and the nutritional yeast is now rich in Vitamin D3. Our product is regarded as vegetarian but not considered vegan because the original source is lanolin. There is only one other vegetarian D3, besides MegaFood's, on the market all others are sourced from fish oil. 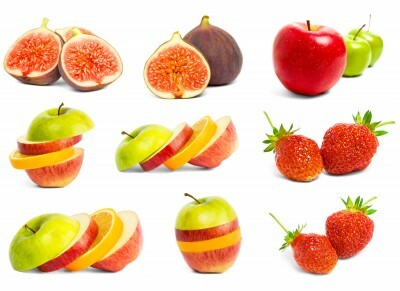 Here at MegaFood we focus on not only absorption but utilization from the body. Our products are more bioavailable than any other product because they are 100% whole food, food such as broccoli, whole brown rice, cabbage, and S. Cerevisiae. We make our product without extreme temperatures and with organic foods that are FREE from pesticides and herbicides. MegaFood's purpose is to provide nutrients in the same method and manner that nature provides. Everyone should get their nutrition from food and food is what MegaFood provides, just in tablet form, this is why we are the most bioavailable product on the market. Thanks for your response. So, if I have this right, you take vitamin d3 from lanolin to 'biotransform' it in the same way that plants do for other vitamins? Except that plants don't HAVE vitamin d3 in them!! And the only significant source of vitamin d in the plant world is from mushrooms that don't get their vitamin d from the soil- they get it through photosynthesis when exposed to the sun!! And just to make sure that I am correct in this, you claim that "Cold Fusion FoodState Vitamin D-3 is an effective, bioavailable form of this important nutrient." and yet you have no bioavailability studies (or know whether it is being 'utilized' by the body) and are only extrapolating that your vitamin d is bioavailable and able to be utilized because the process has worked well for your other nutrients that DO come from plants? I'm just making sure that I have my facts straight. But if this is true, then your claims about your D3 being 'effective and bioavailable' are only theoretical. I have a HUGE issue with your company making these claims without any studies to back this up and simply extrapolating from other nutrients that have nothing in common with vitamin d! For all you know, your customers are not absorbing OR 'utilizing' your vitamin d at all. I hope that I am not understanding you correctly and that your company would have more integrity than to claim that your Vitamin D3 is 'effective and bioavailable' when you have nothing with which to say that this is true. I am familiar with the D2 found in mushrooms. D3 is found naturally in lanolin and fish oils but not as a plant source. The reference about the ascorbic acid and the orange was a reference. Please look at the explanation without taking it literally as I am attempting to explain the process. Yeast is a single cell organism not a plant but the process used is still the same. D3 from lanolin is biotranformed into the lipid matrix of the S Cerevsiae. S. Cerevisiae does not contain D3; that is not a claim I am making. However, S. Cerevisiae does have a natural affinity for D3. This affinity allows the D3 to be absorbed into the lipid matrix of the S Cerevisiae and absorbed into the body. As for the bioavailability claim. We make this claim based on a body of evidence that has shown that nutrients provided to the body in a whole food state is more bioavailable that isolated nutrients. At this time we do not have studies to support D3 directly. Thank you. That was what I thought that the answer was. Vitamin D3 is very different from other nutrients and is actually a prohormone and not a vitamin or mineral. Because you have a body of other evidence that shows that other plant based vitamins and minerals are well absorbed using this process, you can't extrapolate these findings to vitamin d - since alone among nutrients is NOT found in plants and is actually a prohormone and not a vitamin or mineral. So, my question is WHY does your company believe that is it better to biotransform Vitamin D when vitamin d in the form of lanolin comes from nature the way it was intended to be ingested? In the case of lanolin, it's not 'random' that it comes from lanolin. It's 'made' that way by nature. When the sunlight strikes wool, that's how the biotransformation occurs already. The sheep get vitamin d by licking the biotransformed vitamin d off of their wool and ingesting it- just like nature intended. This is also how dogs and monkeys get vitamin d as well. For your company to take a substance that is already biotransformed by nature and biotransform it into something else and claim that it's somehow better without any studies to back this up is irresponsible and false advertising. This conversation WILL be going on my blog and I WILL be posting this throughout the internet. I would appreciate it if your company would please remove the references to your vitamin d being an 'an effective, bioavailable form' of this substance until you have done studies that prove this statement. Your company has simply made up that statement by extrapolating from your other nutrients. You cannot make this claim about your vitamin D.
Thank you for answering my questions to my satisfaction. It is much appreciated. There is a vegan D3 that is derived from lichen. It's certified vegan, by a company called MRM Vegan Vitamin D3 . They have a 2500 and 5000 IU. I like their brand because they certify products using vegan.org.